Brendan Rodgers was appointed Leicester boss on Tuesday following former Foxes boss Claude Puel’s sacking on Sunday. The appointment shocked Bhoys fans, who were expecting Rodgers to at least stay until the end of the season. 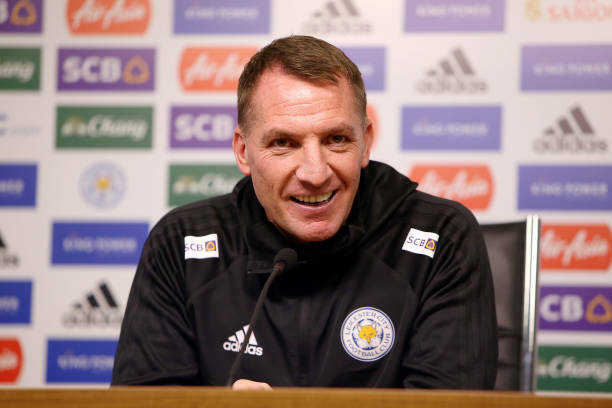 Rodgers was on course to win a triple treble, but the allure of the Premier League proved too much, as he signed a three-and-a-half year deal with Leicester. During his time in Glasgow, Rodgers managed to win seven trophies that included two Scottish Premierships, two Scottish Cups and three Scottish League Cups. And now the former Liverpool manager has had his say, noting that he told just one person about his move back to England. “I felt that I put a culture in place that meant leaving the guys was really difficult,” he told the Scottish Sun. “I spoke to Broony [Scott Brown] at length on Monday. "He was the only one I told before I went down. “I pulled him in to my office because he’s been amazing for me and we have a great relationship. “I have always been honest with him and then I spoke to him after that on the phone. “It is difficult. These guys and I created memories that will bond us together for a lifetime. Rodgers also spoke about his record-breaking 69-match unbeaten run with Celtic. “So many games, going 69 unbeaten, creating that record which will be hard to beat, winning the Treble twice. The success we had is actually measured on the fact that the expectancy is now to win a Treble,” he said.